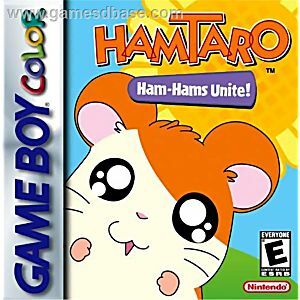 Hamtaro Ham Hams Unite Game Boy Color Game Cartridge Cleaned, Tested, and Guaranteed to Work! This was perhaps my favorite game on my advance system!! A game about cute hamsters who love sunflower seeds and have unique personalities! Interesting challenges as well. Would love to own this game again! One of the best games on the system. Hamtaro is a cutesy cartoon show about a hamster and his romps through day to day life. This game is no exception as you go around interacting with other hamsters and learn the lingo of the rodent. Its a fun cute little game that fans of the show or any child will easily love.